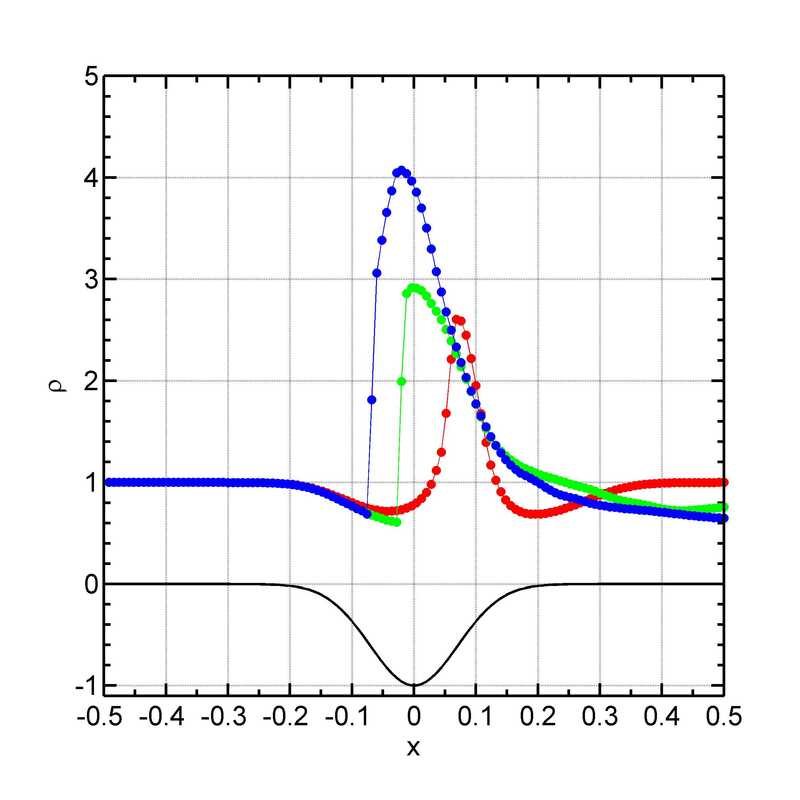 The exact solution is shown by black line, the other lines represent the distribution at t = 0:5 with grid resolution N = 200 (green), N = 500 (red), N = 1500 (blue). 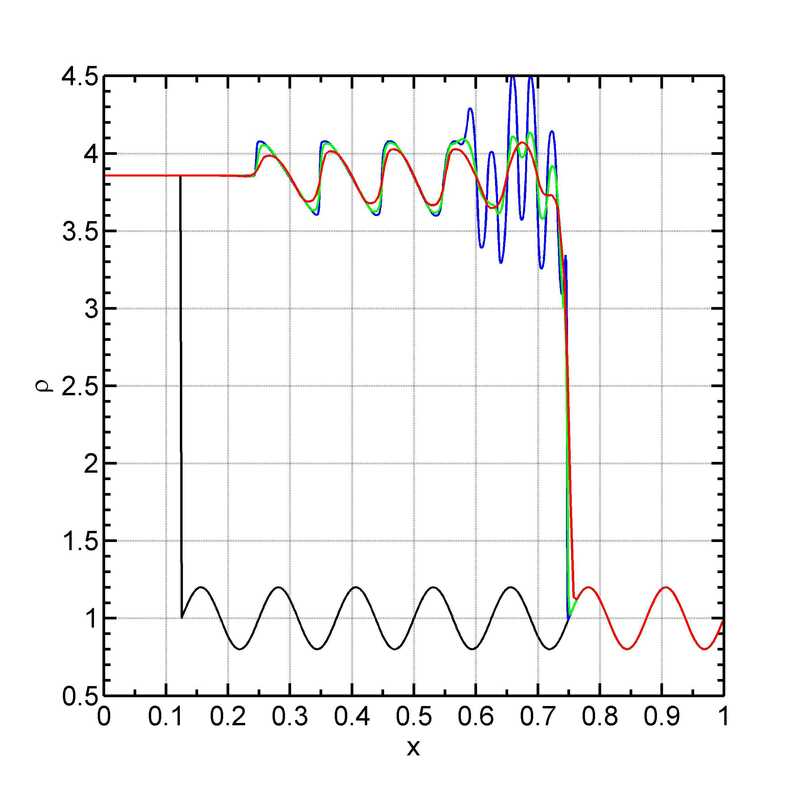 The regions 1 and 5 correspond to the initial unperturbed state of a gas, the rarefaction wave is found in the region 2, the regions 3 and 4 are separated by contact discontinuity, and the shock wave is located between regions 4 and 5. The Shu-Osher test. 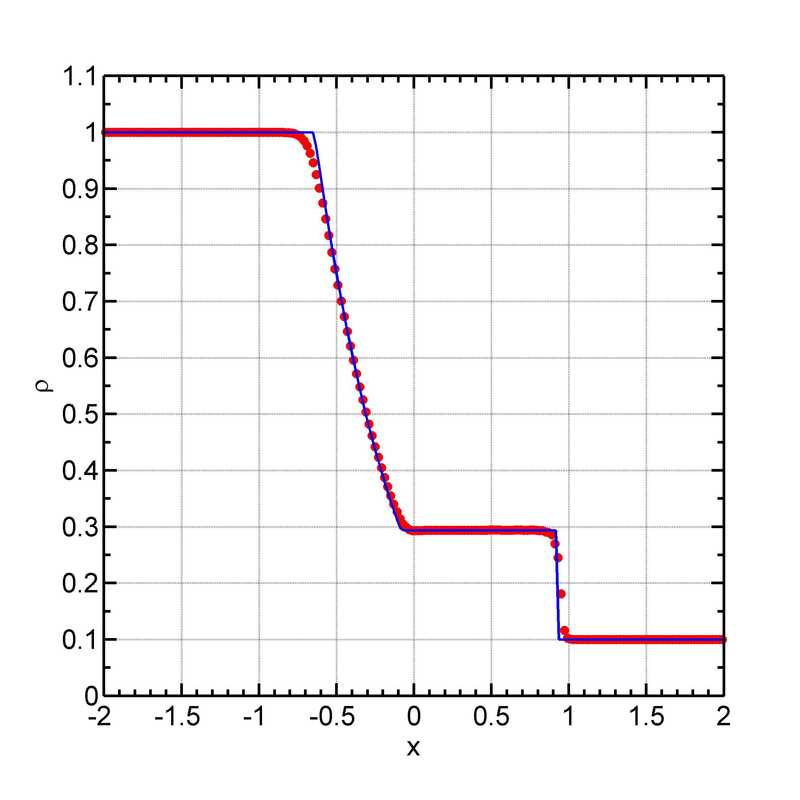 The initial density dis- tribution is shown by black line, the other lines represent the distribution at t = 0:18 with grid resolution N = 200 (green), N = 500 (red), N = 1500 (blue). 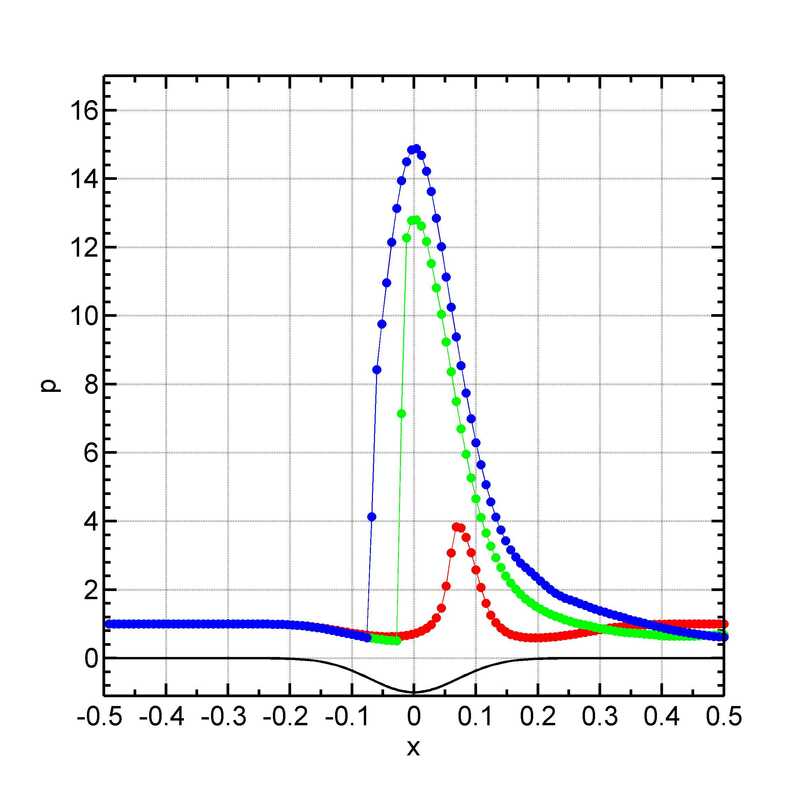 The density distribution is at t = 0.051 (red), 0.226 (green) and 0.375 (blue). The potential well \Psi(x)/\Psi_0 is shown by black solid line. 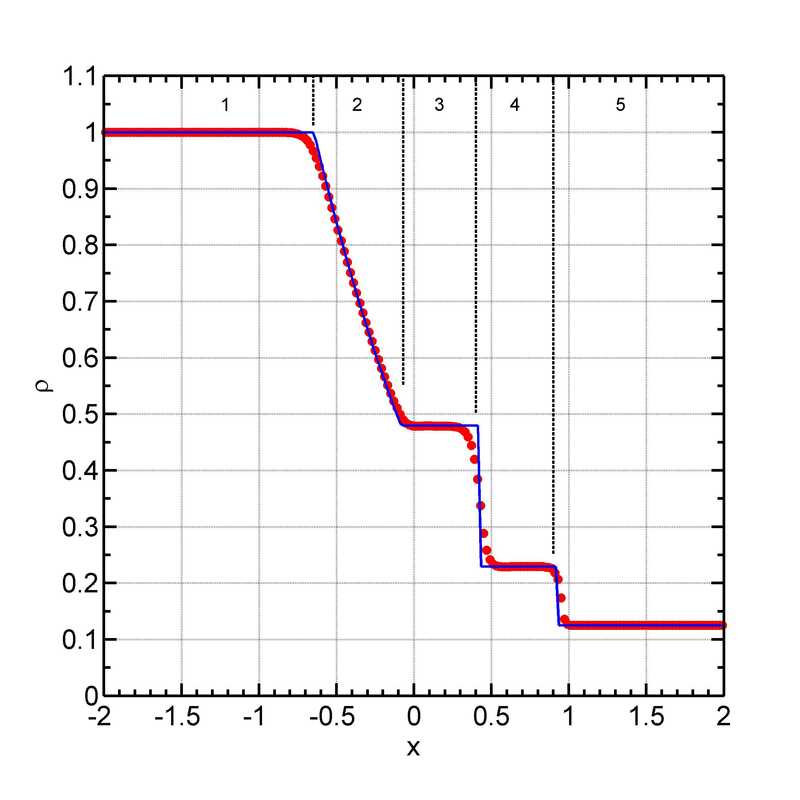 Result is depicted by red dots vs. blue lines obtained by the Athena code. The maps of density, pressure, magnetic pressure and Mach number are shown from left to right correspondingly. The gas density distributions at t = 0; 0.1; 4; 12 (from left to right) in the pure gas dynamics (top row of panels) and the same, but in the presence of magnetic field (bottom row of panels). 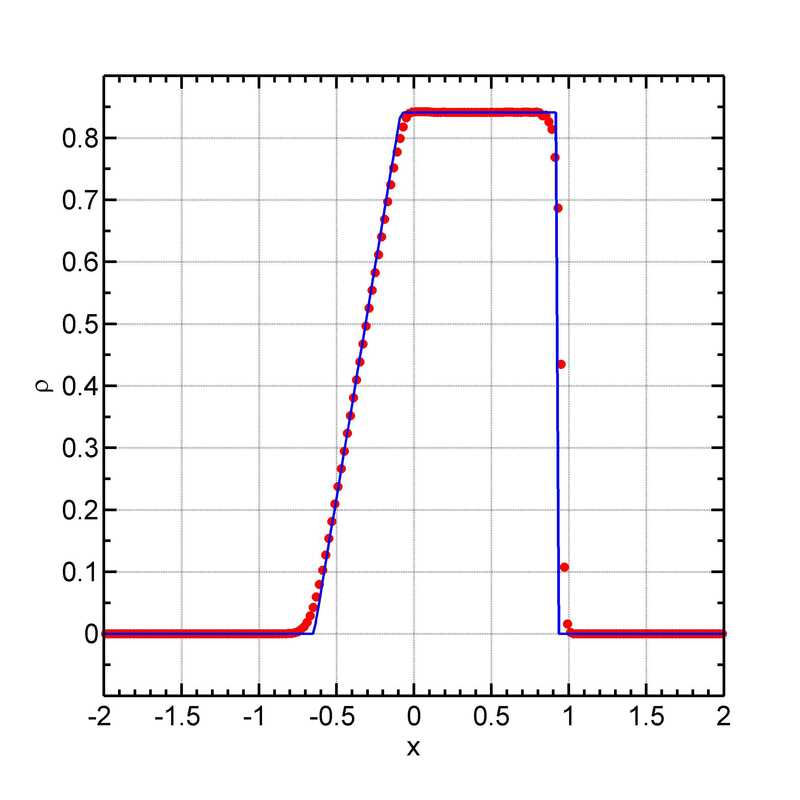 The density profile for t = 0 and t = 1 is depicted by cyan and black lines, respectively, the pressure profile for t = 1 is shown by red line (left panel). 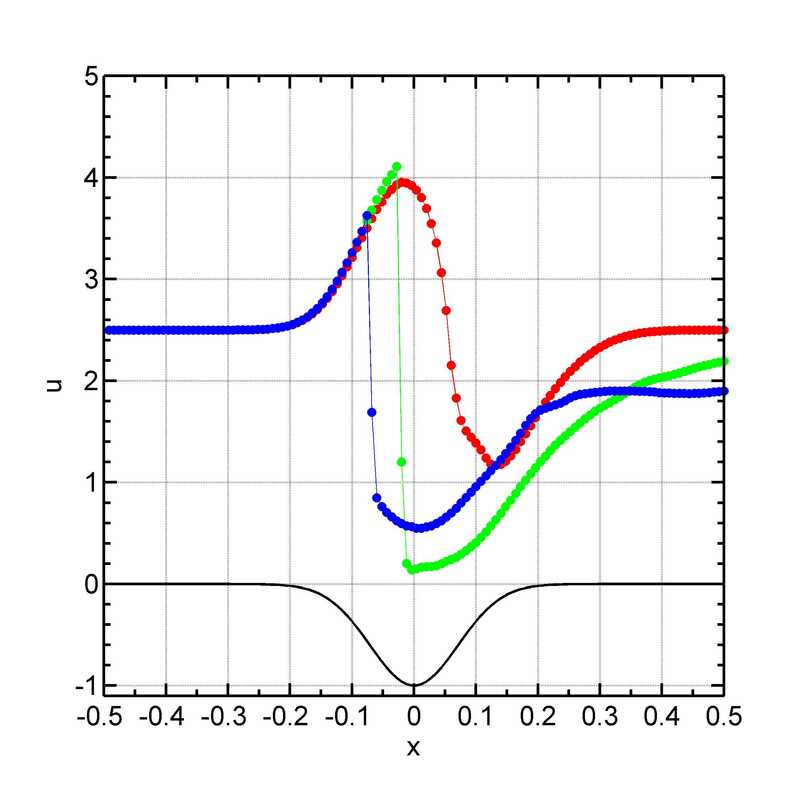 The velocity profile for t = 1 is shown at right panel.